Leading Innovative Products and Solutions... ...Keeping it pure and simple! 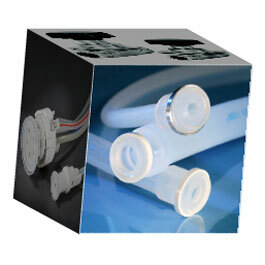 LPS Inc. supplies a full line of bio-pharmaceutical process components including aseptic sampling, silicone manifolds; peristaltic pump tubing, single use bio bags, sanitary gaskets, hose and tubing; stainless steel fittings, diaphram valves; silicone & teflon ® hose assemblies; flexible powder containment products, tanks, cleanroom supplies; and sight glasses. All of our products meet sanitary specifications and our knowledgeable staff exceeds customer expectations... Pure and Simple!